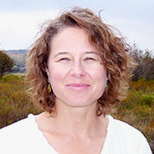 Amy Mathews Amos has worked at the interface of environmental science and public policy for 25 years as an analyst, advocate and now writer. Her writing has appeared in The Washington Post, Pacific Standard and elsewhere. She serves on the boards of the American Conservation Film Festival and Marine Conservation Institute.